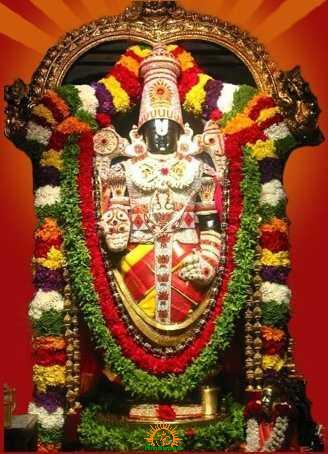 Namo Venkatesha Rathayatra, a chariot procession of Lord Venkateshwara, will be starting today, 16 July 2012 from Hyderabad. As part of 7 crore Japa Samarpana, Sri Venkateshwara Mahamantra Peetham is organizing this event for consecutive 10th time. Namo Venkatesha Rathayatra will begin at 6 PM from Hubsiguda. NamoVenkatesha Rathayatra will be held for 16 days in Hyderabad, from July 16 to August 2. From Hyderabad, the Ratham reaches Mahboobnagar on 3rd August, Kurnool on 4th August, Nandyala on 5th August, Allagadda on 6th August, Kadapa on 7th August, and Tirumala Tirupati on 8th August, 2012. If you a resident at the above mentioned cities or towns, you can let Namo Venkatesha Rathyatra visit your places. For this you need to reserve your name and place in advance. Plot Number: 9/3, M.Block, Road Number 1, (House # 1-2-63/10/1), Kakatiya Nagar, Hubsiguda, Hyderabad. Mention Hindupad.com as the source of the information while calling or contacting the concerned person or organization.